A researcher at the University of British Columbia who has agreed to retract a recent paper that purported to show a link between mercury in vaccines and autism in mice says he has one more vaccine-related project under way. And the researcher – Christopher Shaw, a professor at University of British Columbia's Department of Ophthalmology – also has other projects planned that will look at aspects of Amyotrophic Lateral Sclerosis, known as ALS or motor neuron disease. The vaccine-related project has been in the planning and animal-care protocol stages for some time and recently began animal behavioural testing, Dr. Shaw said on Wednesday in an e-mail, adding that "we won't have any cellular analysis until some time in 2018." The vaccine project is funded by CMSRI, the Children's Medical Safety Research Institute, while the ALS-related work is being funded by an estate grant, Dr. Shaw said. The CMSRI is funded by the Dwoskin Family Foundation, an American group that describes its focus as vaccine safety. Critics say its research fuels public misgivings about vaccines and results in significant public-health concerns. According to Dr. Shaw's website, his lab has received nearly $900,000 from the Dwoskin Foundation in three instalments since 2011. His site also lists an estate grant of about $860,000 a year since 2013. 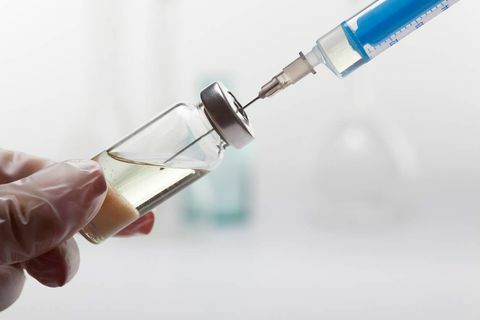 Other funding groups include the Katlyn Fox foundation, which describes its focus as "independent scientific research into the safety and efficacy of children's vaccines." Such foundations typically do not have the same screening and research protocols as, say, federally funded research bodies, says Jim Woodgett, director of research with the Lunenfeld-Tanenbaum Research Institute at Mount Sinai Hospital in Toronto. "This is not necessarily peer reviewed, it's very unlikely to be peer reviewed in the same way as, for example, [Canadian Institutes of Health Research] or Canadian Cancer Society or you name it," Dr. Woodgett said. Dr. Shaw's research – and his funding – is in the spotlight after a recent paper he co-authored came under fire from researchers who pounced on its methodology and conclusions. After those concerns came to light, Dr. Shaw and the journal in which the article was published – the Journal of Inorganic Biochemistry (JIB) – agreed to a retraction. As of Wednesday, the article was still available on the JIB website. Previously, Dr. Shaw was listed as one of eight authors of a paper, published in the journal Vaccine, that raised concerns about the HPV vaccine Gardasil. The paper was withdrawn last year with the editor-in-chief citing "serious concerns regarding the scientific soundness of the article." A revised version was subsequently published by a different journal. In an e-mail on Wednesday, Tom Reller – vice-president of communications for Elsevier, the company that publishes the JIB, said a retraction of the autism paper and an accompanying statement were expected to be posted soon. Commenters on PubPeer, an online forum that allows comments on scientific papers, began flagging concerns about the paper soon after it was published on Sept. 5. Science blogger Leonid Schneider wrote a sharply critical post on Sept. 26, summarizing allegations that included data manipulation, and followed up on Oct. 8 with a note saying the journal's editor had been in touch to say the paper would be retracted. Retraction Watch, a blog that tracks journal retractions, reported the next day that the paper would be retracted and quoted Dr. Shaw as saying that lead author Dan Li took original data for the study from the lab in 2015 when she left. Dr. Shaw repeated that to The Globe and Mail, saying in an e-mail: "lead author Dan Li took her notebooks and original images from the lab when she left in 2015. This is totally against UBC, and hence lab, policy. She did it anyway." He also said he and lab assistants tried to duplicate bloggers' conclusions and found some data seemed altered and others, that bloggers had said were altered, were not. Regardless, "we felt that the data were potentially compromised," notified UBC and requested the article be retracted. UBC, citing privacy legislation, has not commented on the specific allegations related to Dr. Shaw's most recent paper. In a statement on Monday, vice-president of research Gail Murphy said "allegations of scholarly misconduct are evaluated and thoroughly investigated, where warranted." The university does not endorse any faculty member's research findings as it up to the scientific community to evaluate research through the peer-review process, she added. Prof. Murphy said UBC has policies in place to protect the integrity of its research, "such as those set out in Policy 85." That policy calls for records of data to be kept for at least five years after work is published. Dr. Woodgett said he hoped UBC would look into the allegations. "An institution can't possibly police all of the papers its faculty submit to journals. But they absolutely have a responsibility if an issue is raised and they are made aware of it," he said. In an e-mail to The Globe, Neil MacLean – a lawyer representing Dr. Li – on Wednesday said, "we are currently in discussions with Dr. Shaw to address any issues he may have."